Superdry women’s Core track jacket. This jacket has been designed with moisture wicking, breathable fabric with high visibility detailing. 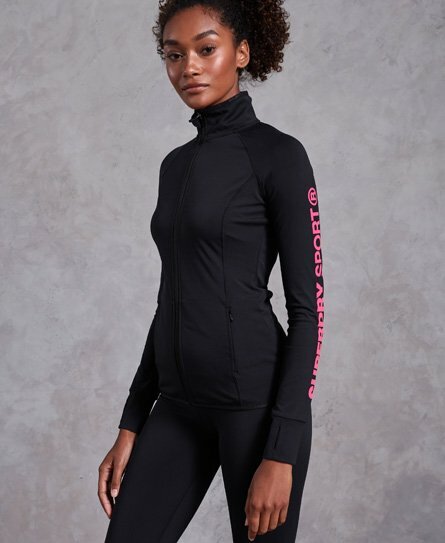 This jacket features a single zip fastening, thumb holes in the cuffs and a reflective Superdry Sport logo down one sleeve. The Core track jacket is finished with two external zip pockets for practicality.